Carrie Fisher, the iconic actress who portrayed Princess Leia in the Star Wars series, died Tuesday following a massive heart attack last week. She was 60. “Lucas always had to remind me to ‘Stand up! Be a princess!’ And I would act like a Jewish princess and lean forward, slouching, chewing gum,” Fisher once joked. 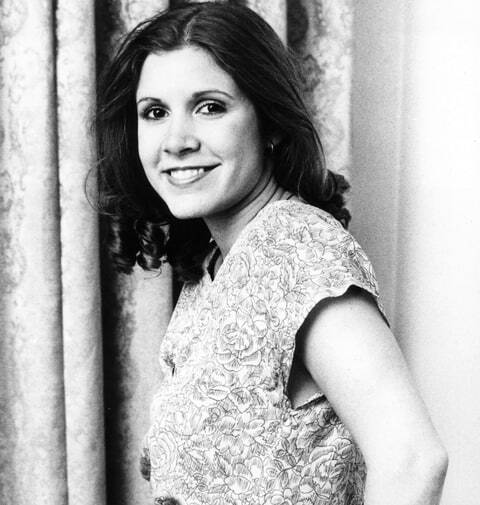 Throughout her career, Fisher was open about her struggles with mental illness – the actress was diagnosed with bipolar disorder – and drug use, admitting that she had abused cocaine throughout the filming of The Empire Strikes Back, as well as prescription drugs. “Drugs made me feel normal,” Fisher said in 2001. Her one-woman play and memoir Wishful Drinking also tackled her battle with addiction. 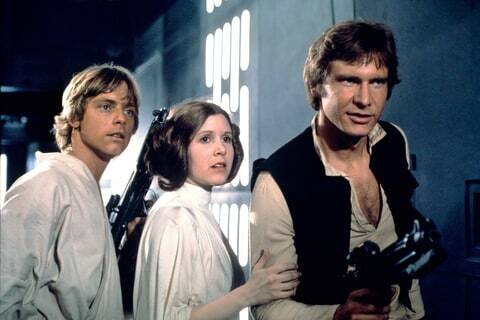 In addition to playing Leia in the original Star Wars trilogy and 2015’s Star Wars: The Force Awakens, Fisher also appeared in films like The Blues Brothers, When Harry Met Sally, The ‘Burbs and Woody Allen’s Hannah and Her Sisters. Fisher was also slated to reprise the role in Star Wars‘ upcoming Episode VIII and Episode IX. In 1990, Fisher turned her semi-autobiographical memoir Postcards From the Edge, which detailed her drug addiction and rehab experiences as well as her relationship with Reynolds, into a feature film starring Meryl Streep. Fisher was nominated for a Best Screenplay BAFTA for the film, while Streep earned a Best Actress Academy Award nomination for playing Fisher’s alter ego “Suzanne” in the film. Fisher was also the writer of four novels and the ex-wife of singer-songwriter Paul Simon, who she was married to for a year in 1983. Fisher was also in a longterm relationship with talent agent Bryan Lourd, with whom she had her only child, Billie Lourd. Green Day Performing “Bang Bang” LIVE from the 2016 American Music Awards. November 21, 2016 by Break-Thru in Entertainment News, Music News | Comments Off on Green Day Performing “Bang Bang” LIVE from the 2016 American Music Awards. Protected: Zion Rootswear Holiday Sale! November 21, 2016 by Break-Thru in Wholesale Only | Comments Off on Protected: Zion Rootswear Holiday Sale! Protected: Hot Off The Presses! Brand New Zion Rootswear Catalog! October 24, 2016 by Break-Thru in Wholesale Only | Comments Off on Protected: Hot Off The Presses! Brand New Zion Rootswear Catalog!